Screenshots from a Periscope video show Dr. 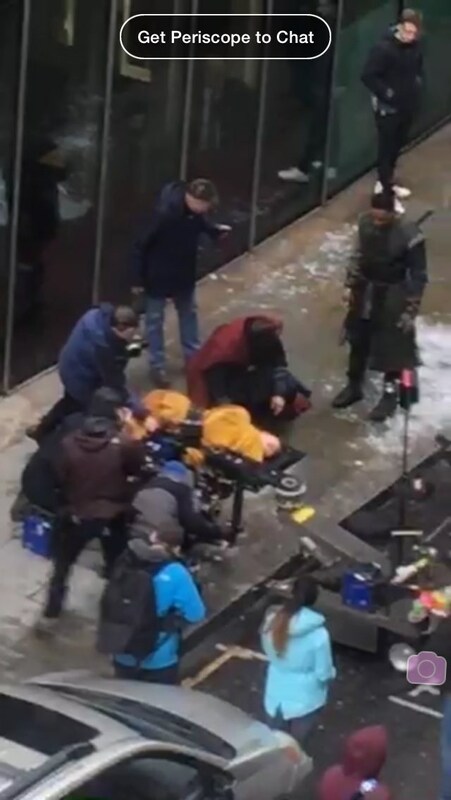 Strange's sidekick Wong (played by Benedict Wong) having a pretty hard time in a scene from the Dr. Strange movie currently in production.